When Kian and I left Jasper we headed home via Highway 93A, which runs parallel to the main road but was much quieter and proved to be a great start to the end of our boys weekend in the national park. 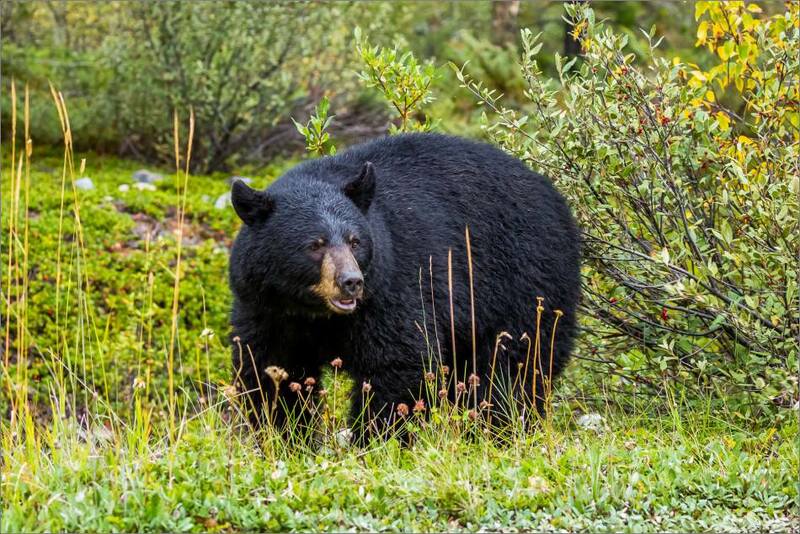 We spotted this black bear almost a kilometre ahead and it was kind enough to wait by the roadside until we drew near. 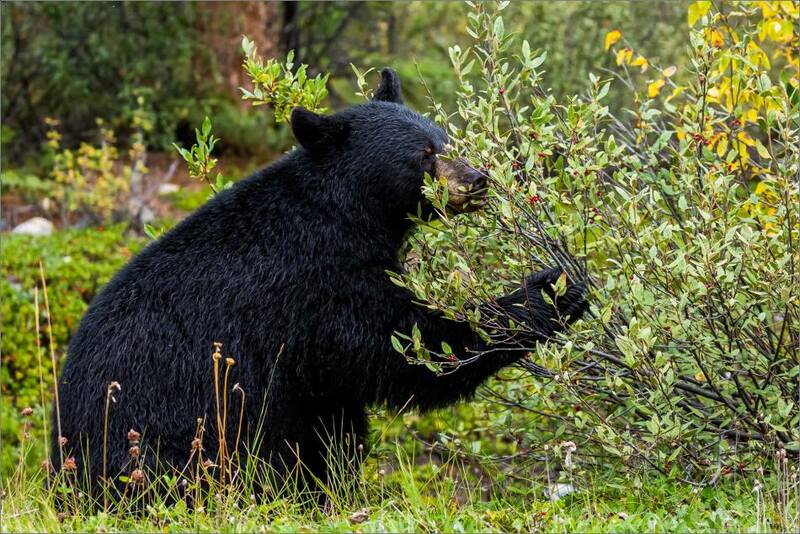 When we pulled up beside, the bear had settled onto a Buffalo berry bush. 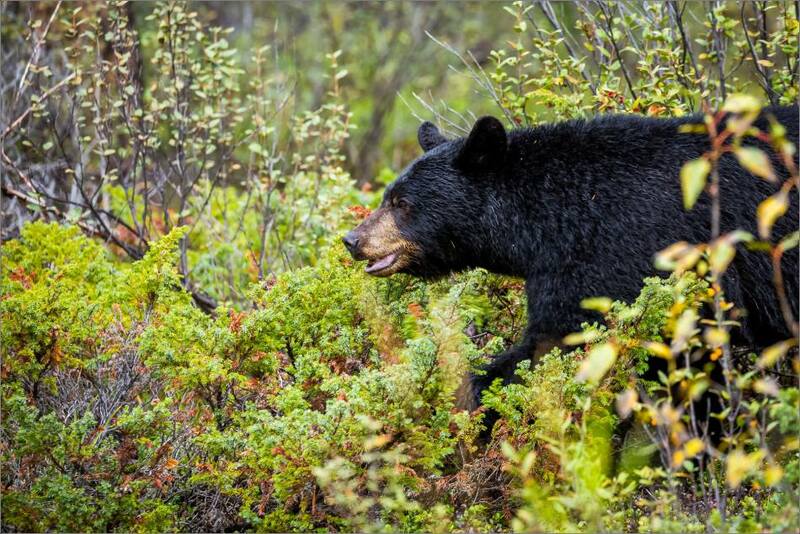 The berries were pulled free, the bear slowly moved forward and my son and I watched as the moments crawled past. It was cool to share that experience with Kian.